As in previous editions, referring to cars, product is confirmed as the most appreciated area by the interviewees, collecting a total average evaluation of 3,54 (on a scale from 1 to 5, where 3 represents neutrality). 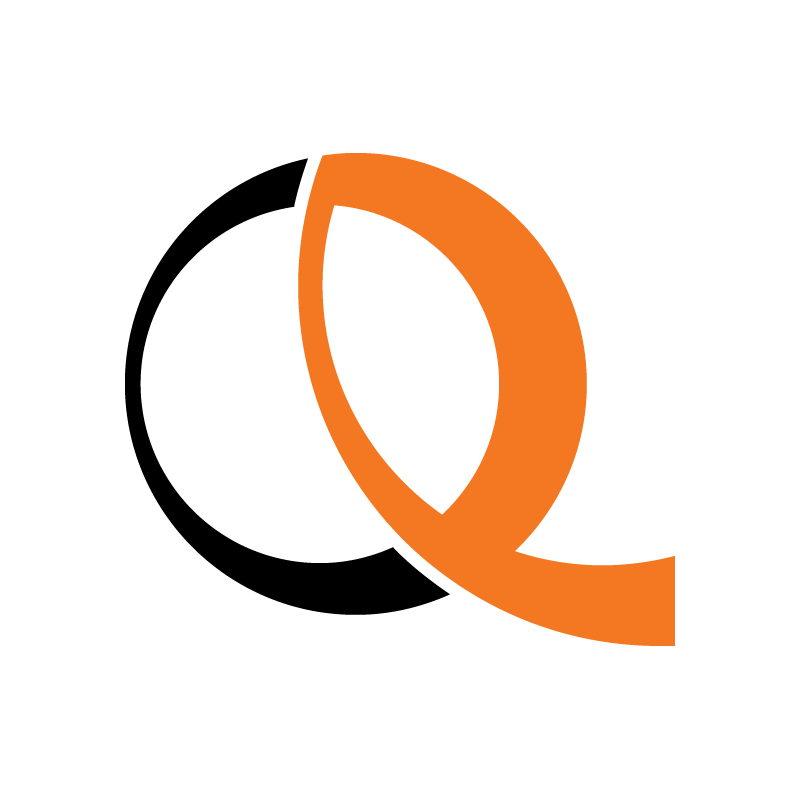 Assessment above the sufficiency threshold also for the parts distribution index (3,30) and the training required by the automaker (3,02). Among the most critical issues there are, instead, the used cars business and the franchise profitability and value. Moreover, dealers ask car makers for more competitive and flexible incentive policies, a greater willingness to dialogue and a closer attention to marketing policies for the after sales. The judgment on management and financial services has improved compared to 2011, but is not yet sufficient. 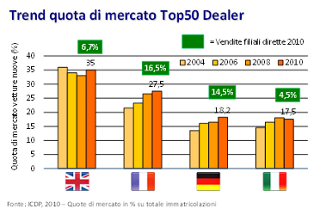 DealerSTAT 2012 results preview was presented in Verona on May 16th, during the Automotive Dealer Day Forum, when the best performing car makers had been awarded. Volvo is confirmed at the top of the ranking for car dealership, with an overall assessment of 3,60. 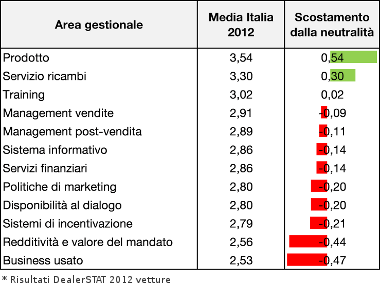 Renault is instead the N. 1 brand in light commercial vehicles dealers’ satisfaction, with a score of 3,2. 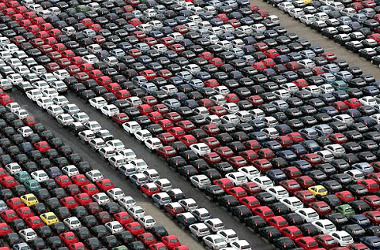 Volkswagen is eventually the most wanted franchise in Italy, for both cars and light commercial vehicles.